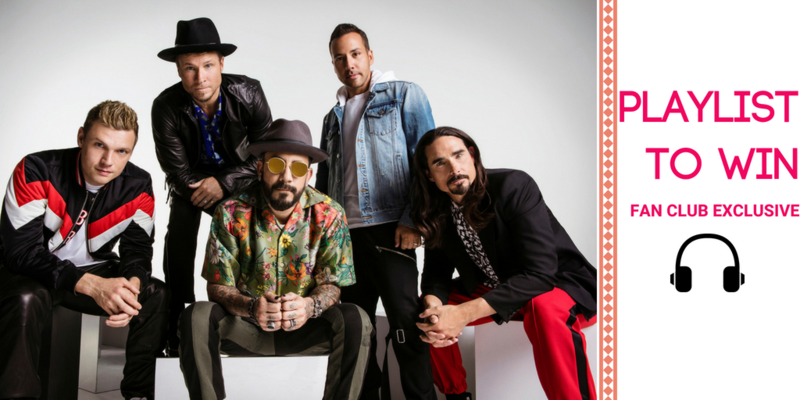 Fan club exclusive: Add BSB's new song 'Don't Go Breaking My Heart' to a Spotify playlist for your chance to win a #BSBVegas merch pack + meet & greet! Once you've added the song to a Spotify playlist, copy and paste the link to your playlist and paste it in the comments section below. Then, click the 'Sign Up For This' button to enter. Both steps must be completed in order to be eligible to win. Not sure how to create/add a song to a playlist on Spotify? Click here for help. Two winners will be selected at random and contacted on July 5th. I´M TRAVELING FROM ARGENTINA TO CELEBRATE MY BIRTHDAY WITH MY SISTER AND WE WOULD LOVE TO PARTY WITH THE BOYS... A PICTURE WITH THEM WOULD BE THE BEST GIFT EVER!! Going to Vegas in October...please help make this bday unforgettable! Thank you! Would love to take my best friend of 30 years to a meet’n’greet with the boys ???? I WOULD SO LOVE THIS!!!!! IM GETTING MY MOM INTO BEING A BSB FAN AND THIS WOULD BE PERFECT!!!! THANK YOU FOR THE OPPORTUNITY!!! Are Your the Next Soldier of the Month? Win A Pair of Tickets to BSB's iHeartRadio Album Release Party! Win A Pair of Tickets to Good Morning America! Are You The First SOTM for 2019?! We're Looking For November's Soldier of the Month! Are You October's Soldier of the Month? Win an exclusive BSB Salmon Spirit Jersey! Enter To Be July's Soldier of the Month!